The CHDC’s Eastern Region Director, Shelley Grainger, has started another E-petition e-1699 for Citizens of Canada to call upon the House of Commons in Parliament to halt air shipments of horses exported for human consumption, due to the ongoing violation of Canadian and IATA regulations. Again, Liberal MP Mark Holland, representing Ajax, Ontario, is e-1699’s sponsor. E-petitions are published online for 120 days and a minimum of 500 signatures are required for certification and presentation in the House of Commons. They are then tabled for a government response. You must be a Canadian citizen in order to sign and you will be asked to confirm your signature by email. 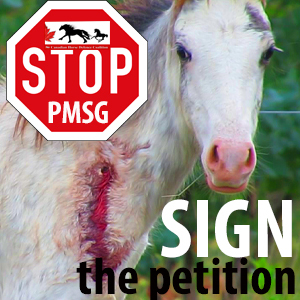 Do you want to tell the Canadian government to end live horse shipments? Then let them know by signing e-petition 1699 and sharing it with your friends and supporters. To learn more about Canada’s live horse shipments for slaughter to Japan, see these posts on the CHDC blog. Horses deserve a second chance at life. Of course I immediately signed and clicked the box for receiving email updates. For years I have been signing letters to political representatives, petitions etc. as I believe with enough support they can bring change. Thank you for your hard work for horses! Inhumane treatment of these horse can not be tolerated. I’m disgusted how a blind eye can be turned by so many. Horrendous treatment for living beings!!! This has to stop. Not only is this practice beyond cruel you are sending toxic meat for human consumption! The world must change its attitude towards animals , they are not cargo or merchandise. Horses are sentient intelligent serving animals more than a lot of humans .They do not deserve to suffer in any way !! !